60 days. [Israeli introduction] Bred for desert heat, Jericho thrives in our hot summers. The tall (24 in. 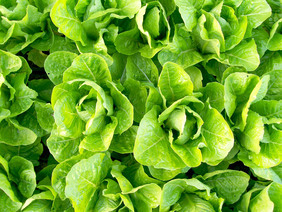 ), heavy, light-green heads retain their sweetness even when other lettuces have gone bitter. Good tipburn resistance, A favorite among market growers. 28 g.